The revenue of the largest revenue collecting command of the Nigeria Customs Service (NCS) – the Apapa Area Command – plummeted for the third straight month due to the policy of the Central Bank of Nigeria (CBN) restricting sales of foreign exchange to the importers of 41 select items. 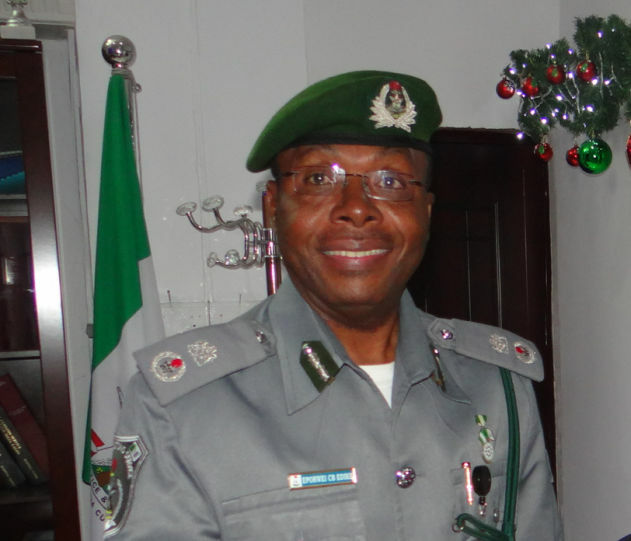 The Command’s Area Controller, Comptroller Charles Edike, told stakeholders in Lagos yesterday that the command collected N23.8 billion in September this year as against the N30.4 billion it collected in the corresponding period of last year, representing about 22% loss of revenue. Edike also painted a gloomy picture when he declared that the situation would not get better anytime soon. He attributed the decrease majorly to the low level of importation, which he said was as a result of some government policies, especially the CBN policy. He said, “Since the CBN policy was rolled out, for the first three months, the remnant that came in were the ones we have been clearing but the remnant is now dwindling, finishing and so that explains why this month may not be as rosy as the previous month was. “We also know that so many containers are trapped in the port. This month is not too rosy as at now and we all know the reason. He also announced that the command would offer reprieve to importers whose goods were trapped at the port as a result of the implementation of the forex restriction policy. “Before you import, you are supposed to get your proforma invoice with which you will approach your bank and the bank will help you with your Form ‘M’ to customs portal and then customs approves your form M, that is only when you can now import. 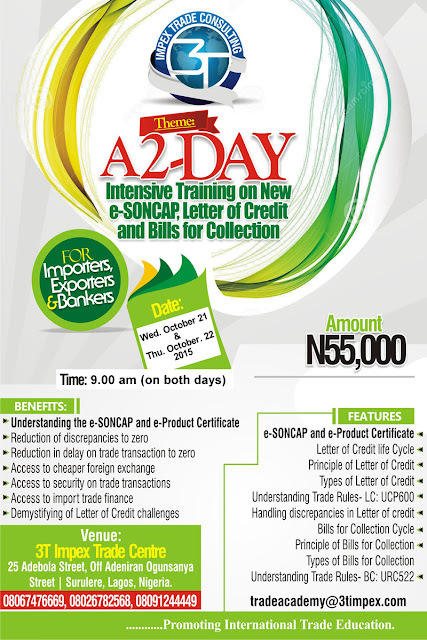 “When you import, before your goods arrive here, your papers would have been ready and that makes it pre-arrival. But many people would rather import and when the goods are about getting to our waters; that is when they will now start going to the bank to get Form M and begin to rush. “Those set of people were the people that by the time the CBN policy (restricting sales of foreign exchange to importers of select imports) came, they were caught off guard and because there is no PAAR, we cannot clear them and they are trapped in the port. “So that things will not get too bad, we want to grant conditional release to those containers that are trapped,” Edike said. He added that after the conditional release, the importer would still be require to apply for PAAR to ascertain if the appropriate duty has been paid on the consignment. “At the end of all this, you will still go for PAAR, and when the PAAR is gotten, then we will know whether you are paying more or less,” Edike said at the meeting he had with representatives of the freight forwarding associations and other stakeholders. The organised private sector including the Manufacturers Association of Nigeria (MAN) and the Lagos Chamber of Commerce and Industry (LCCI) have all condemned the policy introduced by the apex bank on June 23. “Significant disruptions, distortions and dislocations have been created in the business environment by the CBN as a consequence of the following policy measures: restrictions on the use of export proceeds, denial of access to foreign exchange market for 41 broad categories of products, including critical inputs needed in manufacturing and service sectors, prohibition of cash lodgements into domiciliary accounts and tight exchange controls and administrative allocation of foreign exchange are typically characterized by lack of transparency, corruption and considerable abuse,” President of LCCI, Remi Bello, said the chamber’s third quarter press conference. Manufacturers in the country have said that the process of clearing cargo at the two major seaports in Lagos requires a combination of 110 signatures. 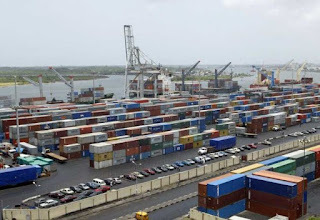 According to them, before a manufacturer can get his raw materials out of the Tin Can Island Port, about 70 people will have to inspect the goods and append their signatures to the documents releasing the goods, while about 40 signatures are required for the same process at the Lagos Port Complex (LPC), Apapa. The industrialists made this observation during an interactive session between the Nigeria Customs Service and the Manufacturers Association of Nigeria. Directing a series of questions to the Comptroller-General of Customs, Col. Hameed Ali (rtd), a manufacturer, who identified himself simply as Bagu, noted that physical examination of goods and scanning at the Tin Can Island Port took longer than at the Apapa Port. He added that the situation was not limited to imports but also to exports as well. 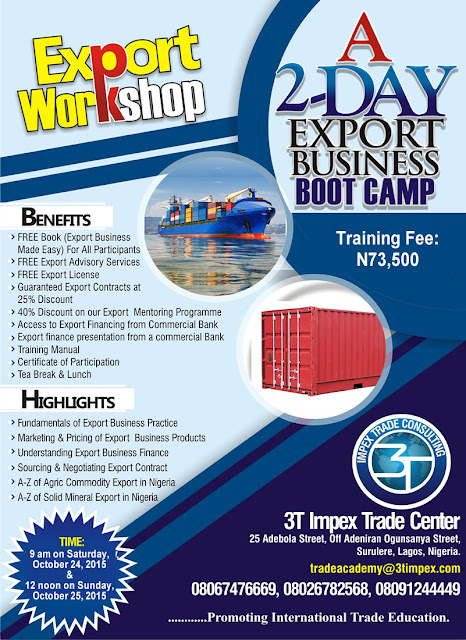 Bagu said, “We are also into exports; it takes three days to close Customs export entry in Apapa. In Tin Can, it took me three weeks to close the entry. My goods had already reached their destination and we had to pay heavy demurrage; so, we stopped using them for exports. “The 48-hour clearance is becoming a dream. The predecessor of the CG was working very hard to achieve the 48 hours’ clearance; I don’t see anybody discussing this again. A corruption risk assessment report released by the Independent Corrupt Practices and Other Related Offences Commission and the Bureau of Public Procurement, with the support of the United Nations Development Programme, on the Nigerian ports stated that importers or agents required a minimum of 79 signatures of government officials to clear their goods at the nation’s gateways. The President, MAN, Dr. Frank Jacobs, described the slow clearance of cargo at the ports as one of the issues that had been hampering the manufacturing sector. In addition to the delay at the ports, Jacobs also bemoaned the late response to complaints raised by members of the association. In order to address the challenge, he suggested a decentralisation of the complaints unit of the NCS in the six geopolitical zones of the country as opposed to one location. Zamfara State Governor Abdulaziz Yari yesterday said the Federal Government will ban importation of rice in the next two years. He spoke with State House correspondents at the end of a meeting on the new policy on agriculture and food sustainability at the Vice President’s conference room. The governor pointed out that former President Goodluck Jonathan administration did not export any locally-produced rice from the country. He said: “We discussed how we can boost rice production and how we are going to put policy in place to ban rice importation.“We have the potential; we have the human resources; we have the arable land to grow rice. Yari said: “It is only in Nigeria, a country of millions of people, that there is no food security. “We discussed the policy with the relevant permanent secretaries and Central Bank governor. “The policy is going to be in place and we gave our commitment that we are ready to support the government policy in ensuring that Nigeria becomes self-sufficient in food production in the next two years. 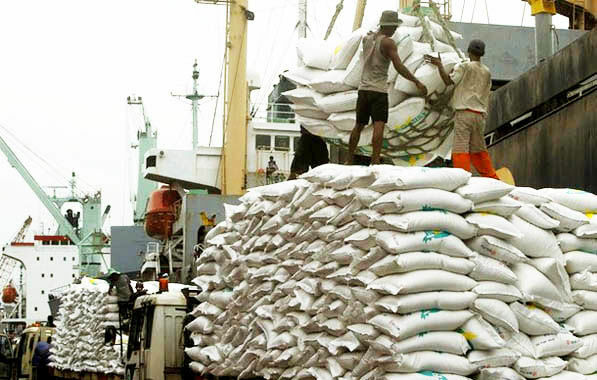 “Nigeria is presently a major importer of rice. Now, the political will is in place to stop it. We in about nine states are going to be seriously engaged in massive rice production. NIGERIA stands to earn about $50 billion from her abundant solid minerals if the necessary framework is put in place to harness the resources. Indeed, the nation has been estimated to possess over 400 solid minerals, 40 of them available in commercial quantities, though only 13 of these are being exploited at present. This is believed to have dragged down the sector’s contribution to the national economy to a paltry 0.3 per cent and generating about $1.5 billion into the country’s coffers. A document obtained from Solid Mines Limited, showed that the sector could add as much as $50 billion to the nation’s Gross Domestic Product (GDP) by climbing from 0.3 per cent to 10 per cent growth in the next three to five years, if the necessary investment is made. Besides, optimal utilisation of the solid minerals could also create over one million direct and indirect jobs within Nigeria and far increase Africa’s inter-trade activity, which currently stands at $110 billion. The document stated in part: “The under-development of the mineral sector has resulted in Nigeria importing minerals that can be locally produced thus missing out on the opportunity to increase local output, earn foreign exchange and create jobs. Over 40 solid minerals have been discovered in commercial quantities in Nigeria. “Some of these include; barites, gypsum, limestone, bismuth, marble, fledspar, mica, gold, coal, bitumen, considerate, silver and germ stone, iron ore, lead-zinc, talc, copper, kaolin, among others. However, only small numbers of these are currently being mined mostly by artisans and small scale miners (ASMs) also known as informal miners who have their activities curtailed by poor funding, lack of equipment and poor training,” it stated. 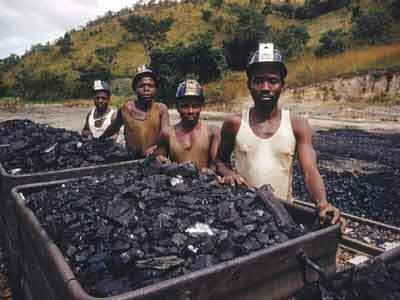 The analysis showed that Nigeria has over three billion metric tonnes (mt)-deposit of iron -ore worth over $1 billion; 27 billion mt deposit of coal worth about $1 billion; 2.23 trillion mt of lime stone worth over $1 billion; 14 million mt of barites of about $4 million; 10 million mt of lead zinc worth about $400 million; 40 million mt of talc worth $20 million; 10 million mt of copper worth over 700 million; three billion of kaolin of $50 million; and one billion mt of gypsum worth about $250 million accordingly. The group, therefore, noted that the government must create an enabling environment to stimulate local and foreign investment by establishing new mining codes. Besides, it said that the private sector has an obligation to invest, adding that it must regard itself as the primary means of raising finance for mine development and also consider it important to give back to the community the infrastructure projects. The Ministry of Mines and Steel Development had in 2005 begun the mining sector reform process based on international best practices which changes the government’s role from ‘Owner-Operator’ to ‘Administrator-Regulator’ and positions the private sector to drive growth, capacity development and generation for the sector. Challenges facing the sector include poor funding, low infrastructure development level, social and political instability and illegal mining among others. For the nation to completely overhaul the sector and develop a policy framework that would drive the desired growth in the sector, the Solid Mines Limited is collaborating with the Strategic Global Partners to hold Africa Mining Conference 2015 slated for October 21 at the Transcorp Hilton Hotel, Abuja. The conference with the theme, “Harnessing the Continent’s Solid Minerals for Economic Buoyancy through Sustainable Public-Private Sector Synergy”, is expected to dissect issues with particular references to artisanal mining and the environmental impact of illegal mining. Ekperigin noted that the $1.5 billion annually is negligible in comparison to other African countries such as South Africa, Democratic Republic of Congo and Botswana whose sectors record 18 per cent, 25 per cent and 40 per cent of the country’s GDP equating to $63 billion, $7.6 billion and $5.9 billion respectively. Speakers include: National President, Miners Association of Nigeria, Alhaji Sani Shehu; Managing Director, Ciuci Consulting Nigeria, Chukwuka Monye; Chairman/CEO Eta-Zuma West Africa Limited, Dr. Innocent Ezuma; CIO, Samancor Chrome, Cuan Kloppers; General Manager, IT Africa, Middle East and Australia, Vale, Sergio Salim; CIO, Total Coal South Africa, Peter Sutcliffe , among others. 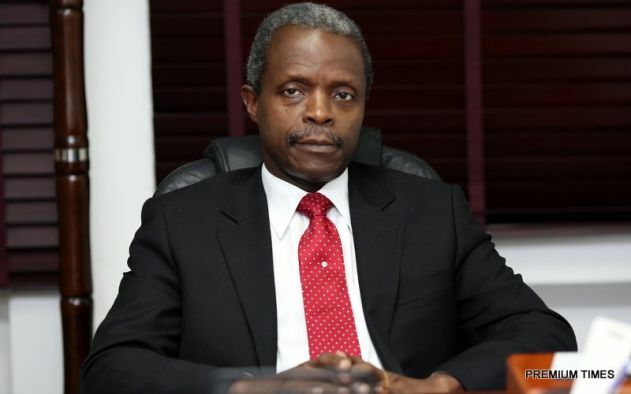 Nigeria will keep foreign currency restrictions for now to preserve the country’s currency reserves amid falling oil revenues but the Central Bank of Nigeria (CBN) will ease the rules in the long-term, Vice President Yemi Osinbajo has said. The current “restrictions are definitely short term. There is no question about that,” Reuters quoted Osinbajo as telling reporters late on Saturday. “So, long term, we expect that the CBN will ease restrictions as we go along,” He added. The CBN Governor, Godwin Emefiele, had defended its decision to tighten foreign exchange controls by excluding 41 items from the interbank forex market a few months ago. According to a statement by the CBN, the country spends an estimated N1.3tn annually on items that could be manufactured locally. Emefiele maintained that the huge amounts of money Nigeria was spending on importing things that could be produced locally had become a significant drag on the nation’s foreign exchange reserves. But the Lagos Chamber of Commerce and Industry (LCCI) and other market analysts have warned that the policy could lead to the closure of many factories. They also noted that the policy had caused considerable pressure on the Bureau de Change segment of the market and also widened the gap between the official and parallel forex markets. United States lender, JP Morgan, had last month expelled Nigeria from its Government Bond Index-Emerging Market over issues relating to lack of transparency in the nation’s forex market.